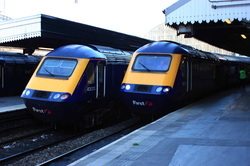 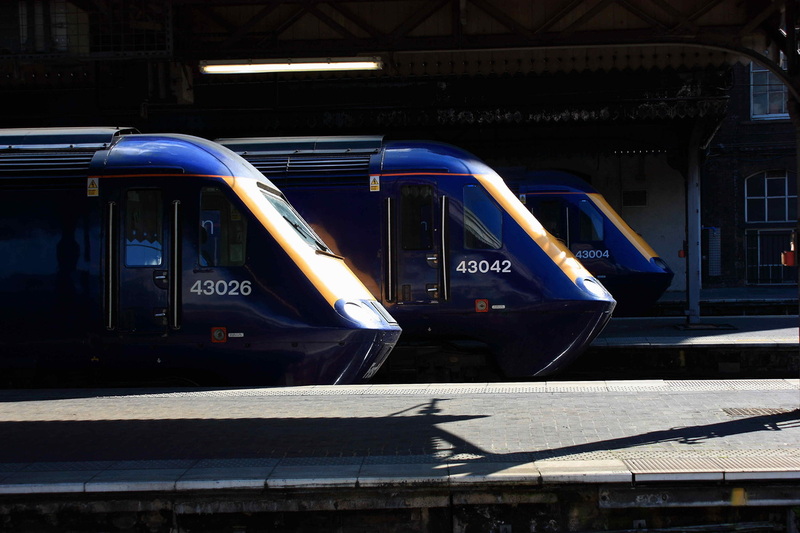 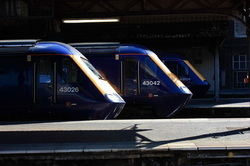 The classic view at Paddington with FGW 43026, 43042 and 43004. 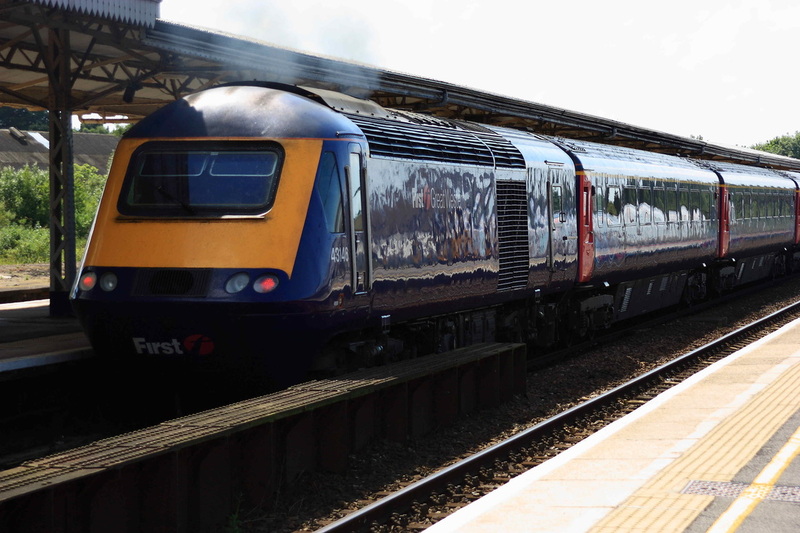 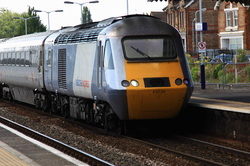 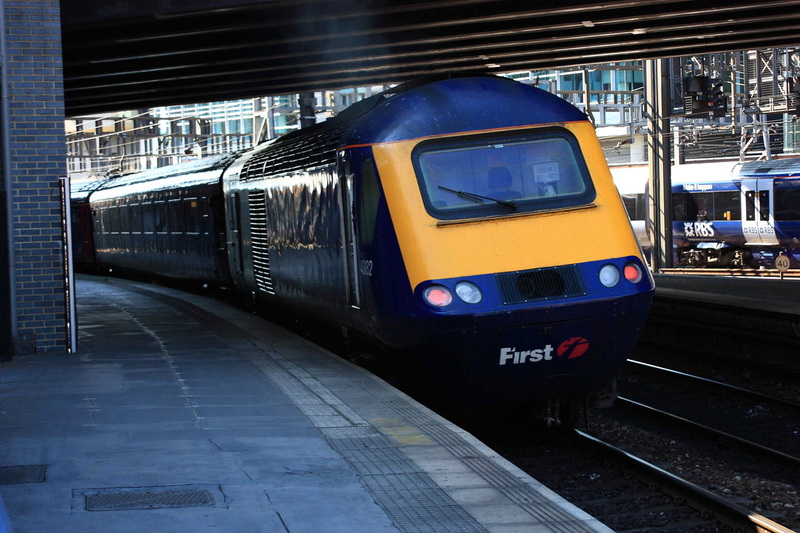 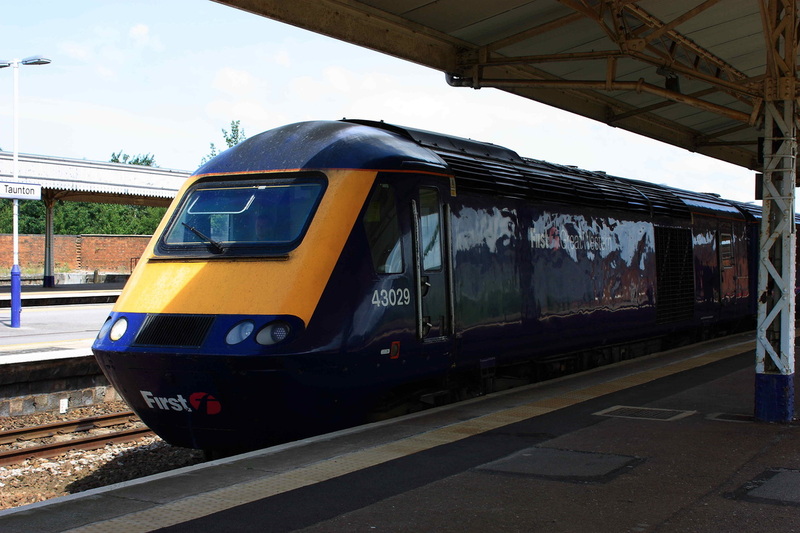 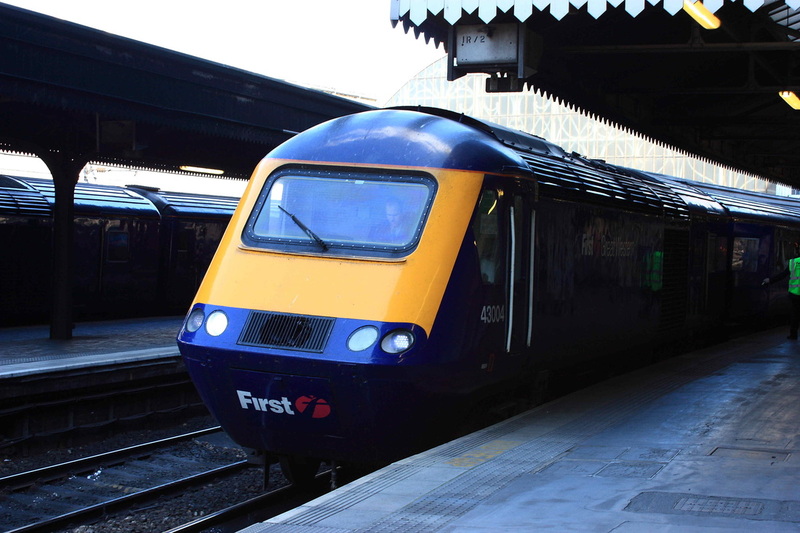 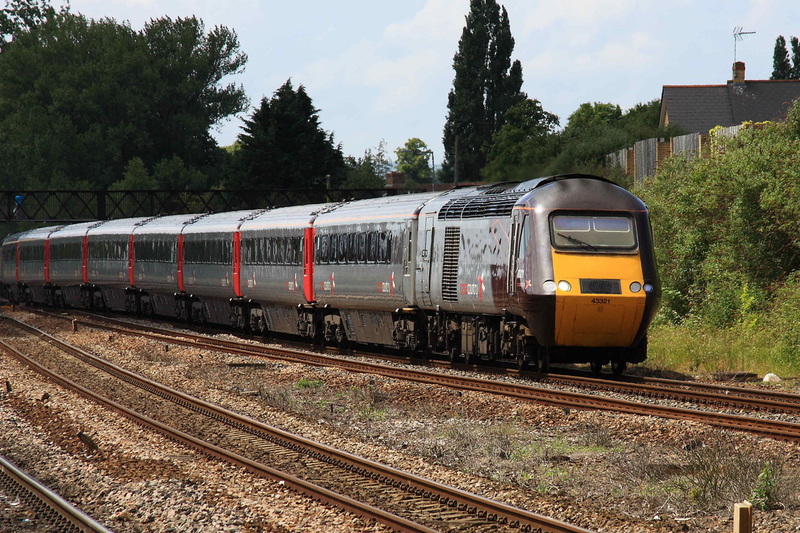 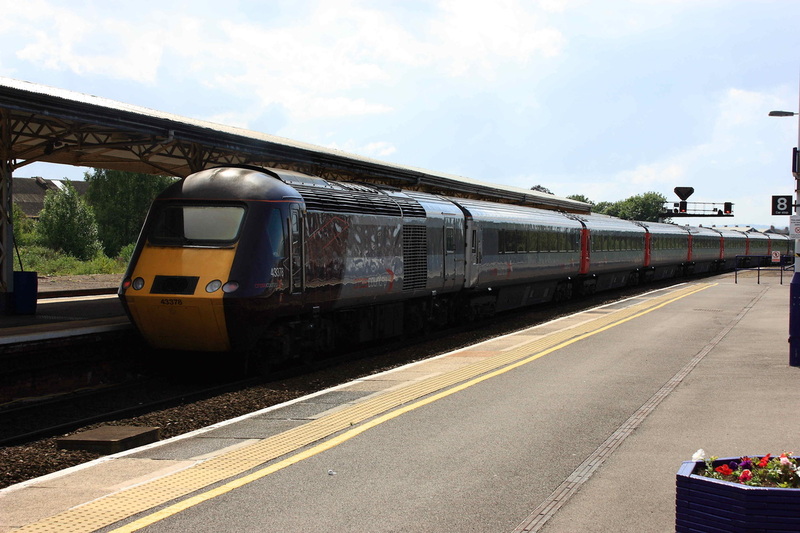 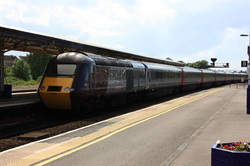 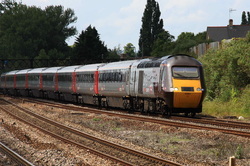 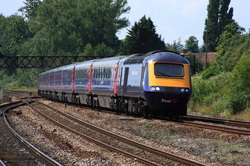 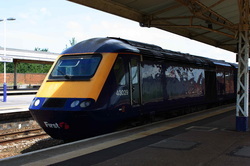 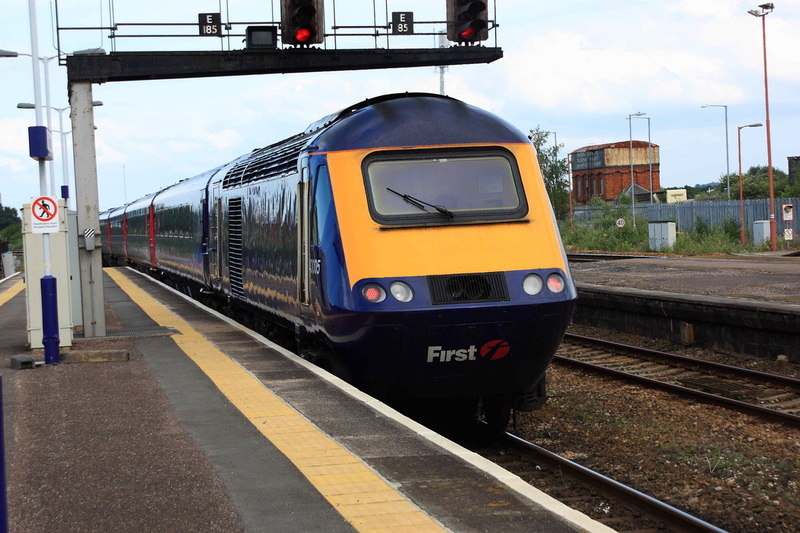 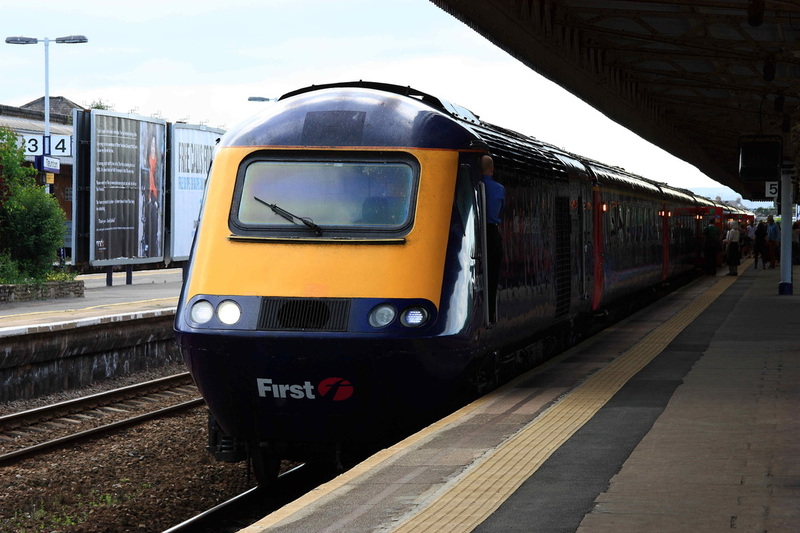 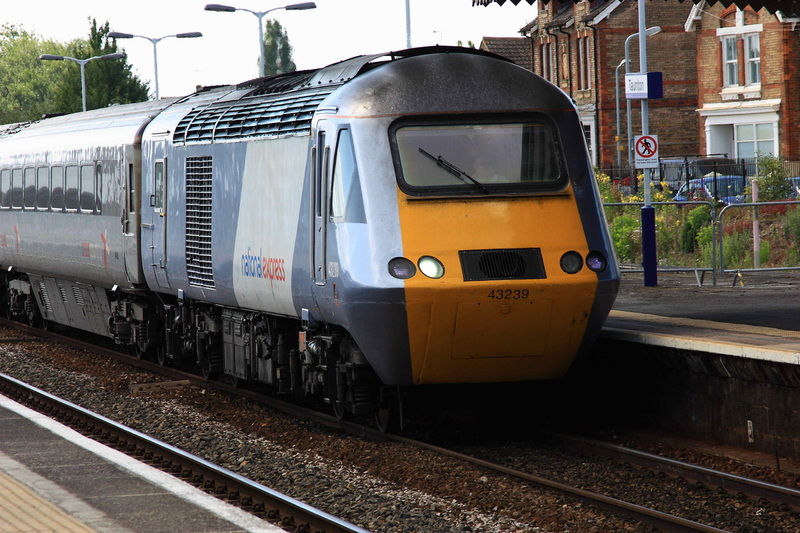 Formerly a Virgin Trains HST power car, Cross Country 43321 arrives at Taunton with a Scotland bound working. 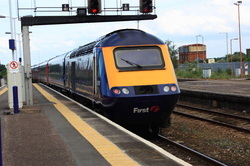 43378 departs Taunton on a Cross Country working. 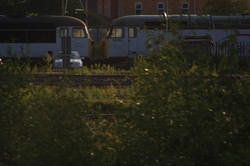 And on the rear was 43005. A grab shot from the train on the way home produced this, with Fertis Liveried 56103 and classmate in the stored lines at Crewe.